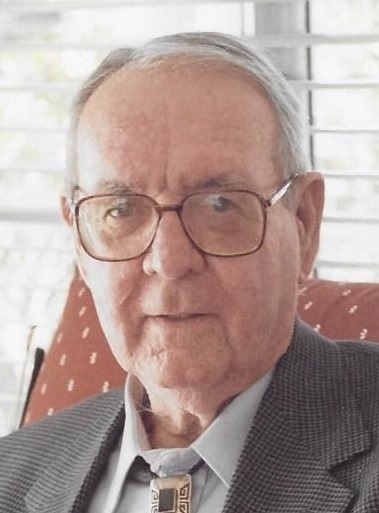 RICHARD GEORGE CUNNINGHAM, P.E. died January 24, 2019. He was born in Seattle, Washington on July 5, 1930. Upon the death of his father Frederick John Cunningham in 1937, George, his mother Eva Foster Cunningham, and brother Fred C. Cunningham, joined Aunt Ethel Foster Peterson and her family in Amarillo, TX where George was reared by what he called a “committee,” graduating from Amarillo High School. He attended The University of Texas in Austin, receiving a Bachelor of Science degree in Civil Engineering. George settled in Houston, TX and began his career in the field of consulting engineering with an apprenticeship with Bovay Engineering and Parsons Brinkerhoff. He became registered as a structural engineer in 1957 and went into private practice as a consultant. His reputation in solid structural design solutions kept him practicing till the end of his life. He taught Structures in the University of Houston School of Architecture for ten years and then at Rice University College of Architecture for ten years. George’s life was characterized by involvement. As an Eagle Scout from Troop 9 in Amarillo, he participated in the founding group of Kwahadi Dancers. He was a dedicated Episcopalian and, in the early days of parenthood, he taught Sunday school. George joined St. Stephen’s Episcopal Church in the early ‘70’s where he met his wife, Sharon. He served the parish on the Vestry of St. Stephen's, including serving as Jr. and Sr. Warden, many years as Delegate to Diocesan Council and again taught Sunday School. He valued his time serving on the Board of Camp Allen and Houston Achievement Place, including as President, and he remained active with Phi Kappa Psi fraternity. George’s dedication to historical preservation led him to involvement in The Texas Historical Commission, The National Trust for Historic Preservation, The Texas Historical Association, The Greater Houston Preservation Alliance, the Harris County Historical Society and The Galveston Historical Foundation. Through his consulting work on The Strand in Galveston, he became a specialist in the restoration of sandstone buildings in the gulf coast area. George supported the art and design communities through memberships in, among other groups, The Museum of Fine Arts – Houston, The Rice Design Alliance and Houston Grand Opera. George made time for a variety of other activities. He took pride in holding a seat on four Harris County Grand Juries, including as Foreman, taught a Junior Achievement middle school class and performed Census follow-up work. He captained and crewed many sailing ventures, keeping up with many of the interesting people he met along the way. He prided himself on the relationships he kept with his family and his many friends, efforts which led to two of his Amarillo High School graduating classmates attending his 87th birthday in the summer of 2017. He is survived by his wife Sharon Rives Cunningham, three children: Catherine Cunningham, Gael Cunningham and Richard Cunningham and wife Adrienne; four grandchildren, Raven Wiggins, Coates Cunningham, Miranda Williams, Olivia Williams; and cousin, Elizabeth Hedley. He was preceded in death by his daughter Amelia Cunningham. Visitation with the family will be held from 5-7 pm on February 8 at Bradshaw-Carter Funeral Home, 1734 West Alabama, Houston. A memorial service will be held at 12 noon on Saturday, February 9 at St. Stephen's Episcopal Church, 1805 West Alabama (at Woodhead), Houston 77098 with inurnment following in the Church Columbarium. A reception follows at Bradshaw Carter. The Reverend Lisa Hunt will be the officiant. In lieu of flowers George wished that any donations be made to St. Stephen’s or a charity of your choice.